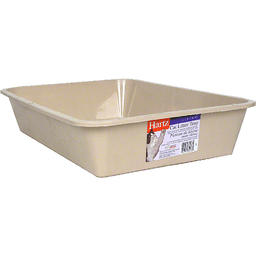 7 or 15 count cat pan liners fit this tray. Made in the USA. For large dogs. 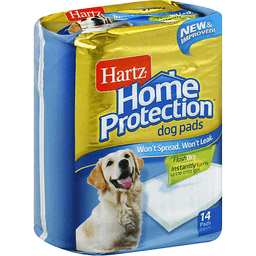 For over 80 years, Hartz has offered products that optimize your pet's health and overall well-being. 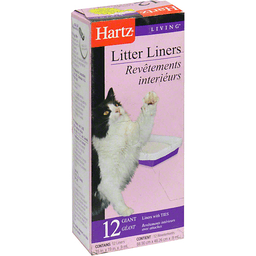 At Hartz, our goal is for your pet to live happier, healthier and longer lives. Rawhide chews are a natural way for you to satisfy your dog's innate desire to chew. Additionally, rawhide provides important dental benefits as it will naturally reduce plaque and tartar on your dog's teeth as they chew. 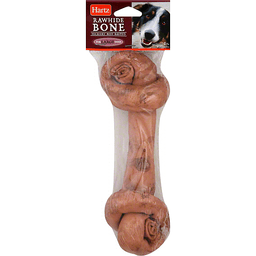 Hartz rawhide provides your dog with a natural and fun chew that promotes better oral health! Long lasting chew. 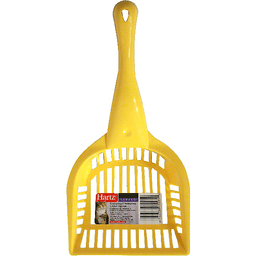 Satisfies your dog's instinctive urge to chew. Naturally promotes plaque and tartar reduction. 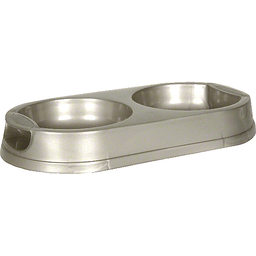 Ideal for active, aggressive chewers. Unbasted. All natural. No preservatives. Made in Brazil. Natural dog food + essential vitamins & minerals. Gluten free. Beef is the No. 1 ingredient. No corn, wheat or soy. No poultry by-product meal. No added artificial colors, flavors or preservatives. Accented with green peas. What We Believe: Food choices are the most important daily decisions we make for our health and well-being, and it's not any different when it comes to feeding your pets. At Purina Beyond, we believe that when we connect with what's natural, we reconnect with what's good in food. 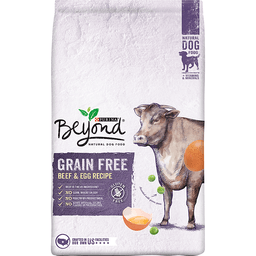 Why Beyond Purina Grain Free? We believe every dog deserves great nutrition - no what his diet demands. We made it our mission to create a recipe that gives your dog all the natural nutrition and essential nutrients he deserves, in a grain-free solution you're looking for. It's simple and natural, with all the nourishment your dog needs and nothing he doesn't. What's in the Food: Beef: Real beef for protein and essential amino acids sourced exclusively from North America. Chicken Meal: Made from chicken cooked at high temperatures to remove water and fat, leaving a source of high-quality protein. 4x more protein than chicken commonly used in pet food. Pea Starch & Cassava Root Flour: High-quality carbohydrate sources that provide energy. Canola Meal, Yeast & Pea Protein: High-quality protein sources rich in amino acids. Egg: Highly digestible, nutrient-rich protein sources with essential fatty acids. Beef Fat: Rich source of energy and essential fatty acids. Natural Liver Flavor: Enhances flavor, because what's good is natural nutrition if your dog won't eat it? Green Peas: A natural vegetable accent harvested from nutrient-rich soil. Vitamins & Minerals: Additional essential nutrients to ensure our 100% complete and balanced recipes meet the daily adult dog requirements for key nutrients. What's Not in the Food: no corn, wheat or soy; no poultry by-product meal; no added artificial colors, flavors or preservatives. Our Commitment to You: There's a story behind every bag of Purina Beyond dog food. Visit beyondpetfood.com and enter the best by date information printed on the bag to learn where your food was made and more. We're proud of the high standards we've set for the ingredients in this bag and how we make our dog food. Should this bag of dog food for any reason not make you or your dog happy, please call us at 1-800-7Purina within 90 days of purchase and we will refund your purchase price. You should be prepared to supply the best by panel from your bag and your original purchase receipt. Your pet, our passion. At Purina, we're unconditionally devoted to pets. We've dedicated over 80 years to developing the high-quality products that satisfy the needs of dogs and cats. To find out how we can help you provide a long, happy and healthy life for your pet, ask Purina at Purina.com. Questions or comments? Visit us online at Purina.com or call 1-800-7Purina (1-800-778-7462). Twitter: (at)Purina. Facebook: facebook.com/Purina. Purina Beyond Grain Free Beef & Egg Recipe is formulated to meet the nutritional levels established by the AAFCO Dog Food Nutrient Profiles for maintenance of adult dogs. Crafted in our own US facilities. 6 - 4 Inch bones. Rawhide- Nature's perfect treat. Give your pet the benefit of clean teeth and fresh breath. Rawhide, often called natures toothbrush, naturally promotes plaque and tartar reduction, while satisfying your pet's instinctive urge to chew. Carefully cut by hand and packaged for freshness. 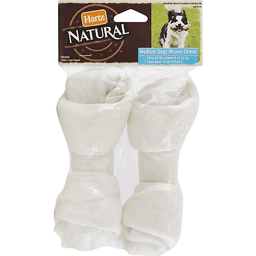 Hartz Dental rawhide is 100% natural with no preservatives. Manufactured in facilities that adhere to USDA regulations for food safety, Hartz Dental rawhide bones comes in many shapes, sizes, and flavors. 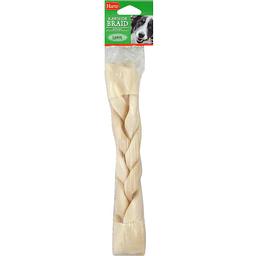 Rawhide curls provide chewing satisfaction for active, aggressive chewers. 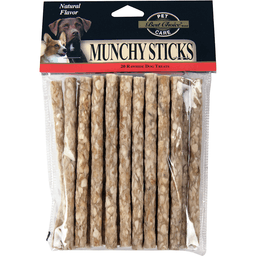 Give them to your pet for a special chew that you know is good for them. Made in Brazil, Argentina, Colombia, Mexico, China or Thailand. 20 to 50 lbs. Hartz. Quality since 1926. All natural; no preservatives. 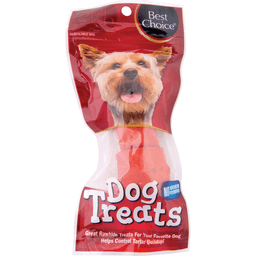 Satisfies your dog's instinctive urge to chew, which reduces plaque and tartar. 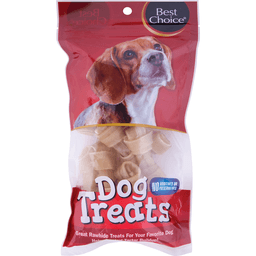 Provides long-lasting chewing enjoyment. Treated by irradiation. Visit our website www.hartz.com. Made in China. 12 Giant Liners with Ties. Hartz established in 1926. 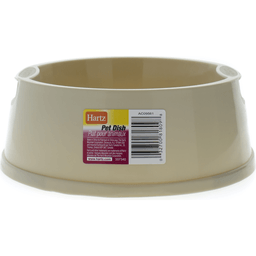 For over 80 years, Hartz has offered products that optimize your pet's health and overall well-being. 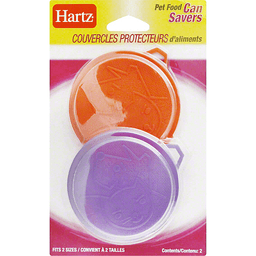 At Hartz, our goal is for your pets to live happier, healthier and longer lives. Rawhide chews are a natural way for you to satisfy your dog's innate desire to chew. Additionally, rawhide provides important dental benefits as it will naturally reduce plaque and tartar on your dog's teeth as they chew. 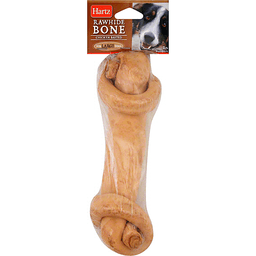 Hartz rawhide provides your dog with a natural and fun chew that promotes better oral health! Long lasting chew. Satisfies your dog's instinctive urge to chew. Naturally promotes plaque and tartar reduction. 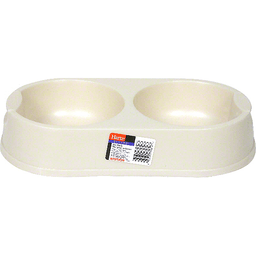 Ideal for active, aggressive chewers. Made in Brazil. 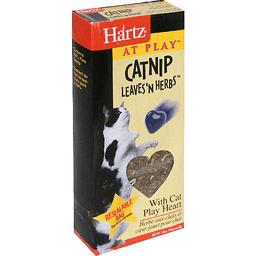 Hartz® Just for Cats® Catnip. No dogs allowed!™ Refillable cat toy included! Leaves 'n herbs™. Net Wt. 1.5 oz. (42 g). 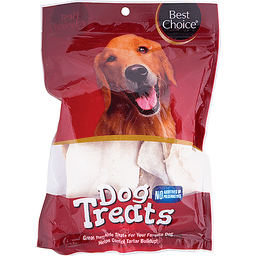 The product comes in a resealable plastic bag to retain the freshness till the last contents are utilized. Catnip can be used as a training aid or to keep your kitty away from scratching the furniture by sprinkling some on a safe target or their favorite toy. Play Share™ Pattern - Every toy fills a need. Play Swat™ Pattern - Every toy fills a need. Play Hunt™ Pattern - Every toy fills a need. 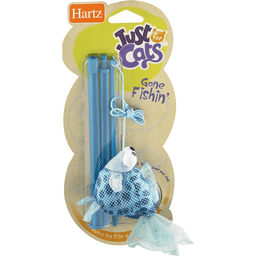 Hartz® and other trademarks are trademarks of The Hartz Mountain Corporation. 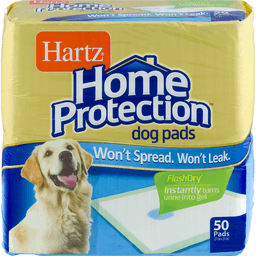 Visit: www.hartz.com. Over 50 lbs. 9 inch bone. Quality since 1926. 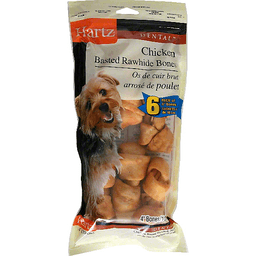 Hartz flavored rawhide - in beef and chicken flavors for enhanced enjoyment. Long-lasting chew. 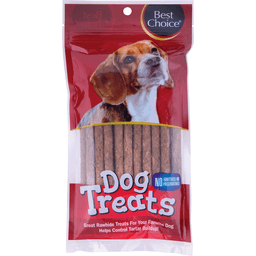 Satisfies your dog's instinctive urge to chew, which reduce plaque and tartar. Visit our website. www.hartz.com. Treated by irradiation. Made in Thailand.